Athletes Foot is a fungal infection that usually starts between toes three and four, and four and five. the moist environment in the area creates just the right setting for some nice fungus to settle in and make them selves at home. The biggest problem is that if you let it go untreated then it can get into the toe nails and that is very difficult to get rid of. Applying tea tree oil directly to the infected are is extremely helpful. Use soothing herbs for the skin that also have anti fungal properties like calendula and alo vera. Chamomile cream can be used to relieve redness, itching and irritation. The most important factor is consistence. 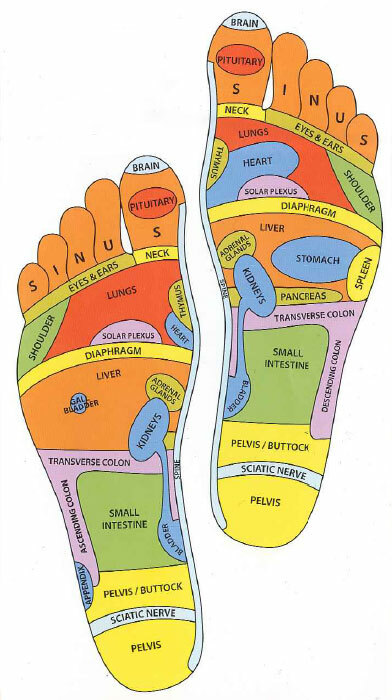 Apply a cream or salve with any of the above mentioned herb several times a day until your feet are fully fungus free. What herbs can be taken to improve appetite? So before I start to get into the why and how here is a quick list for you to start with. Now the question of what is the cause and how do we approach poor appetite or anorexia. This can be caused by a large number of things such as stress and weak digestion but if this lasts for a long time, I would say more than a week You should see your doctor. Now the way that herbs can help with a loss of appetite is by stimulating the digestive system. 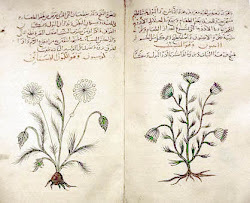 The four herbs I mentioned above are digestive and bitter herbs. You can start by simmering a tablespoon of each herb in two cups of water for a half hour and drinking one cup two times a day a half hour before meals. Also a good bitter formula can be taken a half hour before meals. If you feel the problem is stress related try calming bitter herbs like Chamomile and yarrow. Drinking a good cup of chai tea or ginger lemon and honey tea can be a nice and tasty way to improve appetite. This years summer Olympic games brought a whole new life to a medical practice that has been around since 3000 B.C. People were questioning the circular bruises of the swimmers in this year summer Olympic games. It turns out that Olympic swimmers have discovered the ancient medical practice of cupping to be helpful in speeding up muscle repair. Traditional cupping is done by using a flame to create a vacuum in a glass cup and quickly attaching the vacuum to the body. The vacuum then lifts the skin and other tissues increasing blood flow to the area. 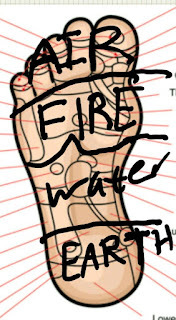 This added blood flow help to repair muscles faster. As a father of four I have had extensive experience with ear infections. From what I have learned most times ear infections are proceeded by some form of a cold symptom like a stuffed nose. The first thing I always do for a ear infection is I make a quick garlic oil and apply it to both ear as often as possible. 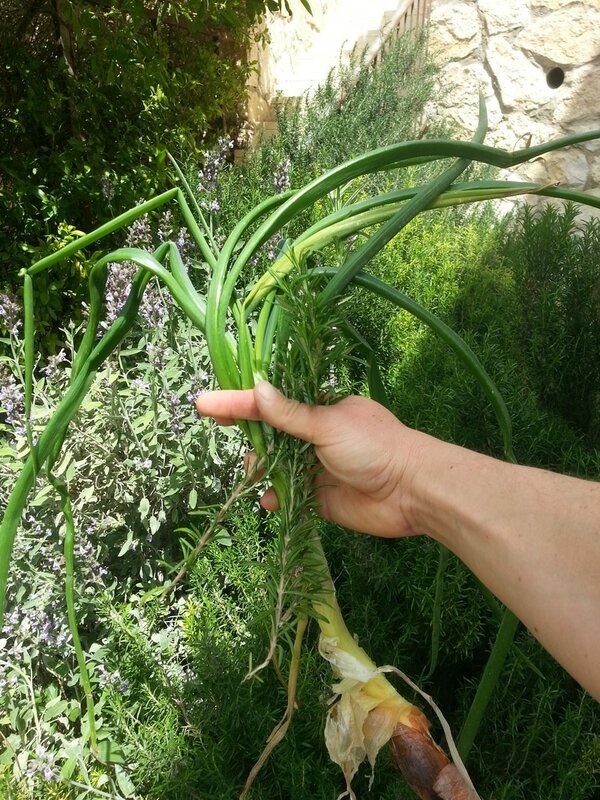 Cut up or crush a few cloves of garlic and heat them in olive oil over a low flame. I use a small frying pan for this but any small pan will do. Be careful not to burn the garlic, that would harm the active ingredients that we need. 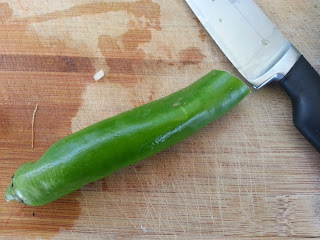 Heat the garlic in the olive oil for about three or four minutes and let cool before use. In addition I always use herbs that are effective in treating respiratory tract problems. Use equal parts of each herb and make a cup of strong tea with one heaping table spoon per cup of boiling water. Let the herbs steep for ten minutes. Drink three cups of this tea per day. Eczema is a drying and information of the skin some times with clear puss and bleeding. What happens is that for some reason the lipid layer which covers the outer cells of the skin surface is broken down and this causes moisture to escape creating the drying of the skin. Then once the skin is dried out it tends to brake is more easily effected irritants such as bacteria. 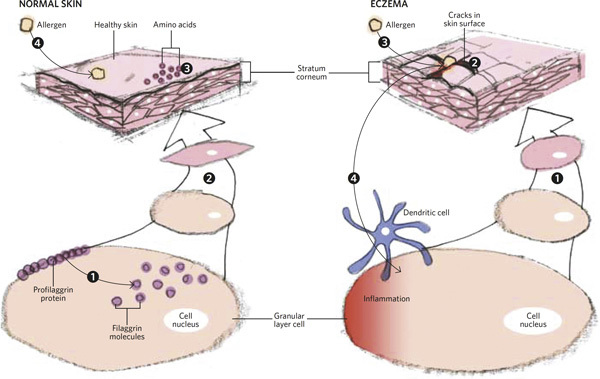 Having a strong digestion is the first step in treating eczema. In addition one of the most important supplements to take if you have eczema is omega 3. Omega 3 helps to reduce inflammation and strengthen the skin. Try a formula of cleansing and anti inflammatory herbs along with herbs for strengthening the digestive system. Fibrocystic breast is when there are cysts and lumpiness in the breast. Whenever you are uncertain about a lump in the breast you should seek a diagnosis from a physician. 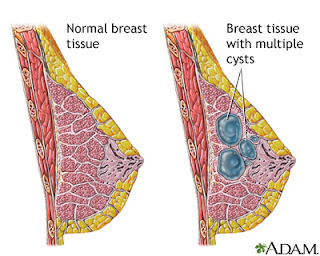 Breast lumps can occur from stagnation in the lymphatic tissue. Use calendula flowers, mullein leaf, nettle leaf and cleavers herb to help to cleanse and stimulate the lymphatic system. 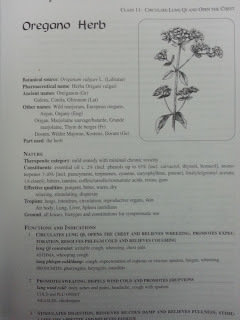 You can also use a compress from the tea of any of these herbs. Also try using herbs that help to dissolve mucus and phlegm. This is because this condition is viewed by herbalists as a stagnation of phlegm and mucus. 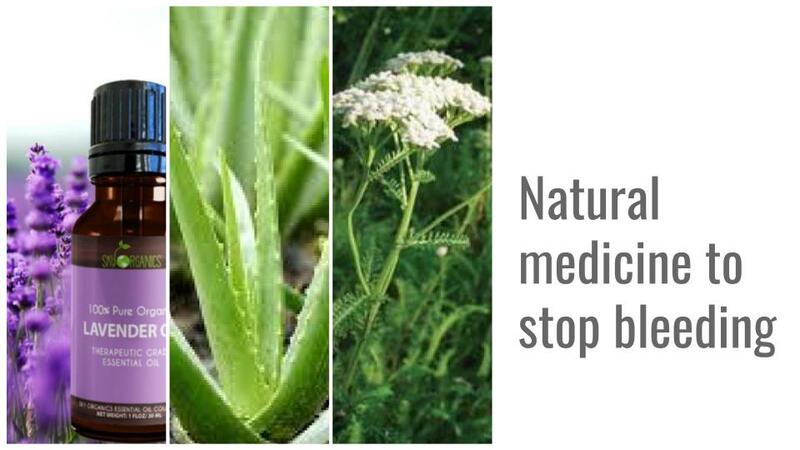 Use herbs such as fennel seed, anise seed, licorice root and blood root. Remember that blood root is very strong and should only be taken when diluted. Herbal formula for fibrocystic breast. Simmer one teaspoon of each echinacea root, mullein leaf and red clover flowers in three cups of water for twenty minutes. Add one teaspoon of fennel seed and let steep for fifteen minutes. Drink one cup of the tea three times a day. Also you can apply Castro oil to the cyst morning and evening. A fever is a natural part of the body’s immune response to a bacterial or viral infection. Natural medicine recommends taking diaphoretic herbs to help the body get rid of waste materials and lower the fever instead of taking n.s.a.i.d’s such as aspirin or acetaminophen. Drinking teas from calendula flowers, chamomile flowers, elder flowers, yarrow herb, chrysanthemum flowers, lemon balm herb, feverfew herb, meadowsweet, white willow bark can help to naturally work with the body to bring down a fever. Try this formula to naturally bring down a fever. Add one table spoon of peppermint leaf, yarrow flowers and elder flowers to three cups of boiling water and let steep for twenty minutes. Drink one cup of the tea three times a day. Remember that a fever is also the body’s way of telling us that it need to relax and recover, so try not to just take a pill and keep on running. Listen to your body and give it the time that it needs. Try to find a toothpast or a mouthwash with bloodroot in it. This will help to protect your gums and teeth against bacteria. 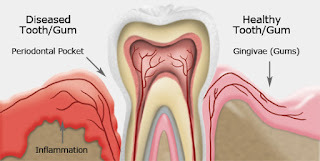 Also myrrh gum can help to tighten the gums. Add a drop of myrrh gum tincture, diluted bloodroot tincture and a drop of peppermint oil to your toothpast before brushing your teeth. Also keeping a strong immune system helps. Hepatitis is an inflammation of the liver which can be caused by a number of things such as viral infection and alcohol abuse. If you have symptoms of hepatitis you should see a doctor. For hepatitis one should take liver protecting herbs like milk thistle and schisandrea. To help with the inflammation use tumeric and St. John’s wort, which are anti inflammatory herbs. Also immune enhancing herbs like shittake mushrooms. Mix one teas of each dandelion root, artichoke leaf, Oregon grape root, one half teaspoon of tumeric, ginger rhizomes and gentian root in four cups of water. Bring herbs to a boil and simmer for twenty minutes. Drink one cup of tea three times a day. There are several types of the herpes virus that can sit dormant on nerve centers and cause outbreaks during time that the immune system is down. Taking cooling herbs that clear heat from the bowls can help in times of a breakout. Try herbs like Oregon grape and yellow dock root. For prevention drinking tea made from lemon balm leaf can be helpful. Add fresh garlic to your diet to keep the immune system strong. High blood pressure or mild hypertension is clinically defined as a systolic pressure of more then 140mm/hg and a diastolic pressure of more then 90mm/hg. Systolic pressure is when the heart is contracted and diastolic pressure is when it is relaxed. 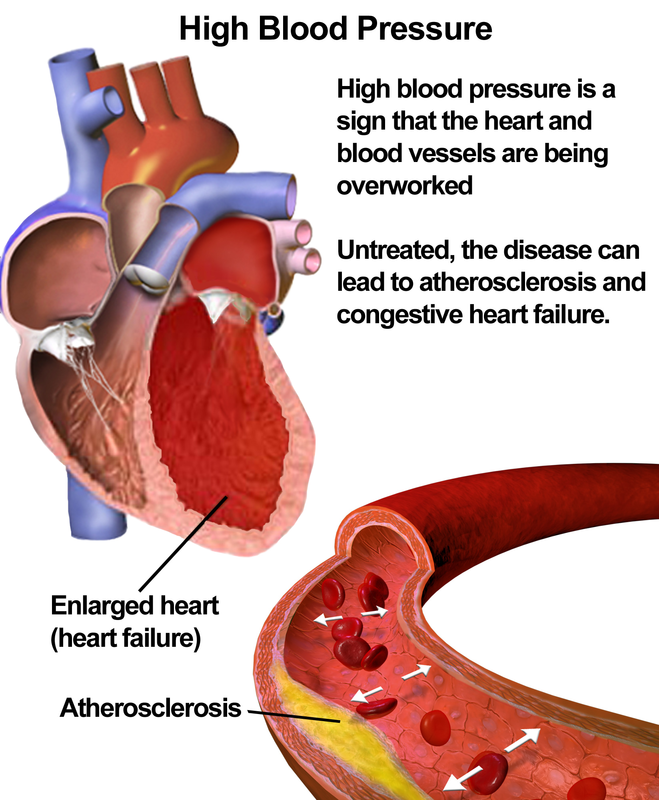 High blood pressure can be caused by stress, diet and heredity. Blood pressure natural goes up with age. Taking herbs that are considered to be cardio tonic herbs, is strongly recommended. Such herbs are shepherds purse, Alfalfa, hawthorn and garlic. 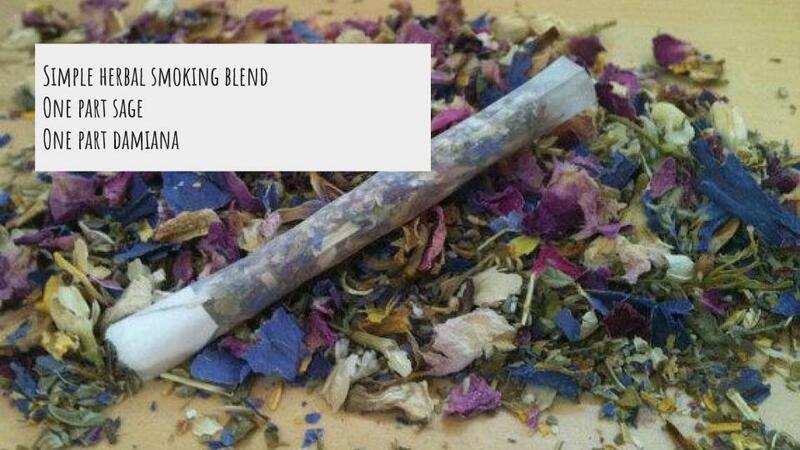 Also relaxing herbs like passion flower, California poppy, yarrow and linden. Make a strong tea by steeping one tablespoon of each hawthorn leaves and flowers, shepherds purse and one teaspoon of celery seed and yarrow in three cups of boiling water for twenty minutes. Drink an entire cup three times a day. Lice are small wingless parasitic insects that can live in the hair and feed off blood that they sick from the scalp. You can use a strong tea made from rosemary, quassia bark, and horsetail herb to wash the effected area. You can also add twenty drops of tea tree and rosemary essential oil to two ounces of almond oil or olive oil and massage into the scalp. Make sure none of it gets into the eyes and shampoo it out after an hour. Add one tablespoon of each quassia bark, rosemary and horsetail tincture to a half cup of water and a half cup of vinegar and rinse your scalp or pubic area with it several times a day. The tightening of the uterine muscle during menses is a natural part of the feminine reproductive cycle. Pain and discomfort during this period can be reduced by healthy habits and stress control. Herbs that can help reduce and even perhaps relieve the pain of menstrual cramps are cramp bark, valerian root, and skull cap herb. Mix one teaspoon of each herb in four cups of water and simmer for twenty minutes. Drink one cup of the tea three times a day. If you prefer add one teaspoon of each tincture to one cup of water and drink one half cup twice a day. If we don’t lead a healthy lifestyle than as we get older our brains can get weaker due to insufficient oxygen supply because of unhealthy blood vessels. Also our brain is like a muscle and needs exercise in order to stay strong. Herbs that can help to improve memory mainly do so by improving blood flow to the brain. Other herbs help improve the brains abilities by providing nutrients that are essential for the cells of the nervous system. 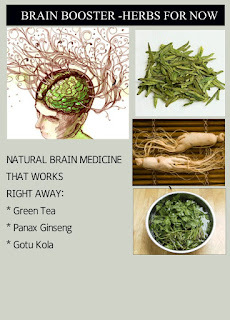 Herbs that can help to improve memory include ginkgo, rosemary, gotu kola, and wild oats. Simmer one teaspoon of ginseng root in four cups of water for twenty minutes. Add one teaspoon of each ginkgo, gotu kola, wild oats and nettle leaf and let steep for twenty minutes. Drink one cup of the tea three times a day. Morning sickness is usually only during the first three months of pregnancy but I have known women that have suffered bad morning sickness during their entire pregnancy. In short, use ginger to help with the nausea of morning sickness. There are allot of ginger capsules that are effective. The best thing is to use fresh ginger and make good strong tea. There are those of the opinion that morning sickness is a way for the body to cleans itself in order to protect the fetus. This may be true because women who cleans before becoming pregnant report experiencing less morning sickness. Besides for ginger other herbs that can help with nausea are lavender, peach leaf, wild yam root, and peppermint. Some herbalists don't recommend using mint during pregnancy but I think that drank as a tea even once a day is not a problem at all. If you feel like you are about to throw up, you have nausea. Now this can be from a number of causes. Usually eating bad foods or eating too much are the culprit but also infection and various metabolic disorders can be the cause. If you are experiencing nausea for a extended period you should see a doctor. Drinking teas from herbs such as ginger, mints, lavender, wild yam and cinnamon can be very helpful. Take one capsule of each cinnamon, ginger, cayenne and goldenseal. If you can buy Chinese medicine “Curing Pills” they are a prefect fix for nausea also. If you suffer from nausea and weak digestion giving yourself a abdominal massage daily can be very helpful. 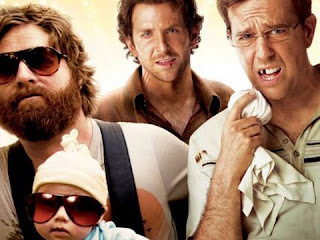 When you drink too much alcoholic beverages your body produces a lot of chemical by-products in addition to the alcohol which effect the entire body. The most important thing to do when suffering through the aftermath of a long night out on the town is to make sure you drink lots of water. Help your body cleanse from all that booze with detoxifying herbs like dandelion leaf and root, yellow dock root, chicory root and gentian root. If you are suffering from heart burn you can drink meadowsweet tea to help. When drinking take milk thistle regularly. Use ginseng root to regulate and balance your digestion and energy. Simmer one tablespoon of dandelion root and ginger root in three cups of water for twenty minutes and then add one tablespoon of dandelion leaf and meadowsweet herb and let steep for fifteen minutes. Let the tea cool and drink three cups a day. Now this is something that I have always suffered from. For some reason I am slightly embarrassed by the fact that I still get nausea in the car. The funny thing is that if I am driving then everything is fine. It's only when I am the passenger. Years ago when I first started learning to use herbs I started to eat ginger candy to help when I had to take busses and it really helps. Another great option is to get some real ginger ale from a health food store and drink or during the drive. Also you can take ginger capsules before and during the drive. Even the most busy of us can find some simple habits that can increase our over health and wellness. By incorporating just a few new healthy habits into our daily routine we can greatly increase our energy, productivity and happiness. 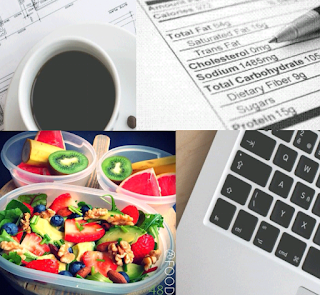 Here are just a few of the best healthy habits that I believe anyone can and should start with. This is so important that it is the number one healthy habit. Fresh fruits and vegetables are packed with vitamins and minerals. Fresh fruits and vegetables have phytochemicals that help the body to fight off diseases and cancer, keep our cells safe from free radicals, and have numerous other health benefits. Fresh fruits and vegetables contain high amounts of water in its purist and most absorbable form. The recommended minimum amount of water that you should be drinking every day is eight cups of water. The reason I mentioned the word water twice in this last sentence is to stress the point that when I say “water” I mean water and not any other form of drink. Eight cups of water means 2,000 ml of water. I have treated so many people that were suffering from nothing more than a case of mild chronic dehydration. This is a very serious issue because it creates stress on the kidneys that can be very damaging. Water is needed for the body to carry out all the chemical reactions that contribute to the sustaining of life. Exercise is important in the maintenance of overall health in the entire body. Exercise is important for mental health as well as the physical health of the body. When we more our body and bring up our heart rate we help the whole system to more efficiently distribute all the nutrients to the furthest reaches of the body. Also when we increase the blood flow in the body we also speed up the disposal of waste materials that need to be transported through the blood. 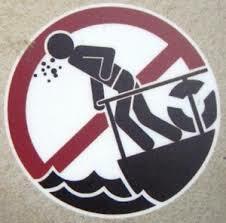 Oh and of course it will help you look better when you are at the beach. For anyone who is working hard and is under stress I recommend taking a multi vitamin with a high concentration of b-complex vitamins. Even if you eat a really healthy diet you can’t be too sure in today’s age when a lot of our produce is grown in mineral depleted soil and may not contain the amount of vitamins and minerals that it should. Also because of high stress levels and exposure to high levels of toxic chemicals its important to have those extra anti-oxidants like vitamin C and E to help protect the cells of the body. If you want to go the even more natural route and get a supper food supplement, such as wheat grass, kelp, barley grass or any other green drink that has h high amount of anti-oxidants and b-complex more power to you. b-complex vitamins are so important because they are essential for the production of energy at the cellular level. Herbal tonics are herbs that can be taken daily for many months at a time. Tonic herbs support and nourish the body’s cells, organs and tissues. One of my favorite herbal tonics is ginger root. Beside for tasting great it’s also strengthens digestion and circulation. Deep breathing is a great way to oxidize your blood for added energy and help disperse toxins from the body. Also deep breathing exercises help to cleanse the lymphatic system. No matter how busy you think you are you need to put the time and effort into maintaining your health because if you are not healthy and strong you can’t be productive at your full potential. The use of NSAID’s (Non steroid anti-inflammatory drugs) is so huge in the pharmaceutical world. Advil, tylenol and all of their cousins are common in every home across the modern world. We all use them because they work so well and so fast. Head aches, fever and pain caused by a million and one things are gone in fifteen minutes once we take them. I cant wont tell you that I don’t use them myself because I do. When my children are suffering because of a high fever I try many alternative ways to help them be comfortable but many times I will give them one form or another of these chemicals because I cant bare to see them in pain. But it there a natural alternative to these seemingly magical chemicals? Perhaps after this article is finished we can all have a pure natural way to relieve pain, fever and inflammation. So lets take a look at the mechanism of inflammation and pain in our bodies so we can better understand how this all works. So our story of inflammation starts with the MAST CELL and ends (for the purpose of this article) with the PROSTAGLANDINS. 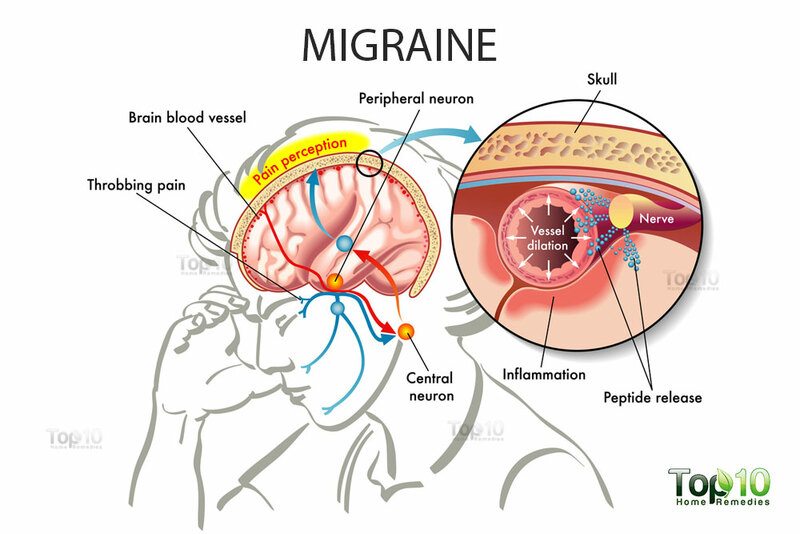 The prostaglandins are the guys responsible for the pain and inflammation. The mast cell when stimulated releases a lot of Different materials that activate our bodies defense or immune system. Amongst all of the cells that are thrown into action by the mast cell are these prostaglandins. Other cells that are called to the cite of activity are white blood cells of different sorts to fight off bacteria and clean up the mess. Prostaglandins are not just released but they need to be synthesized or created. 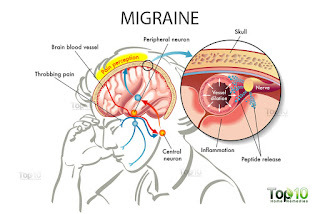 What a lot of these NSAID’s do is they stop the process of synthesizing the prostaglandins, which then reduces pain and inflammation in the body. Prostaglandins also increase blood clotting and protect the stomach. This is why NSAID’s can be used as blood thinners but can also cause peptic ulcers. Aspirin as well and most other NSAID’s inhibit cyclooxygenase, which is one of the key enzymes in the synthesis of prostaglandins. 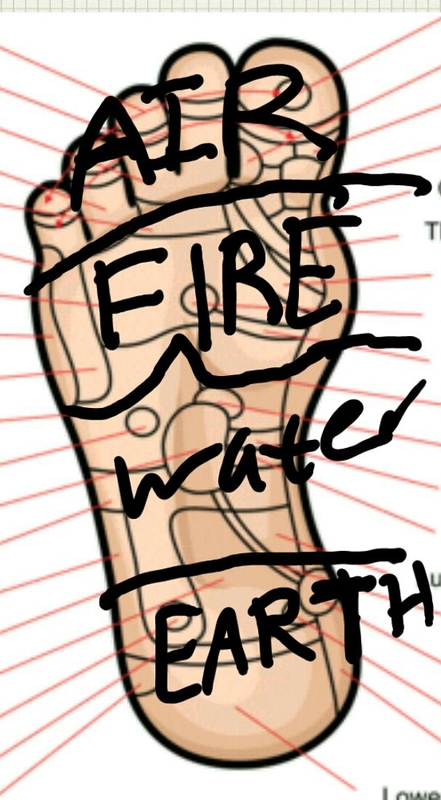 This is how they work to reduce inflammation and pain. 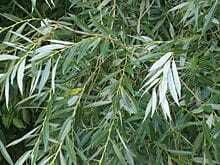 White willow bark contains a phytochemical salicylic acid which the body can make into an active form of a substance the works just like aspirin but does not irritate the stomach. 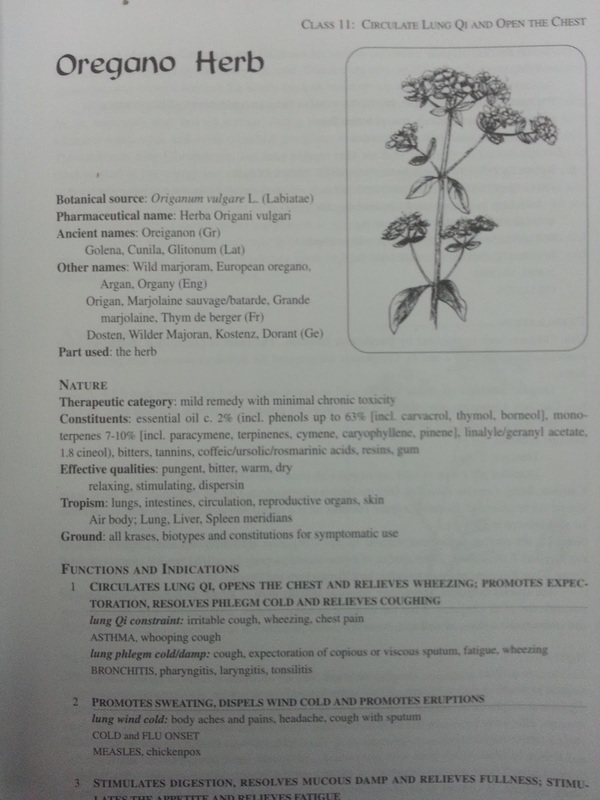 Other plants that have these same phytochemicals which are categorized as salicylates are cowslip and meadowsweet. Because of the unknown concentration of the active ingredients in these plants and the need for the body to process them into their active form, it is difficult to get the same result from them as we do chemical medications. Today we have herbal extracts that are produced with known amounts of these phytochemicals. These are called standardized herbal extracts which make the best of modern science and herbal medicine. Try these natural anti-inflammatories and enjoy the best of both worlds. 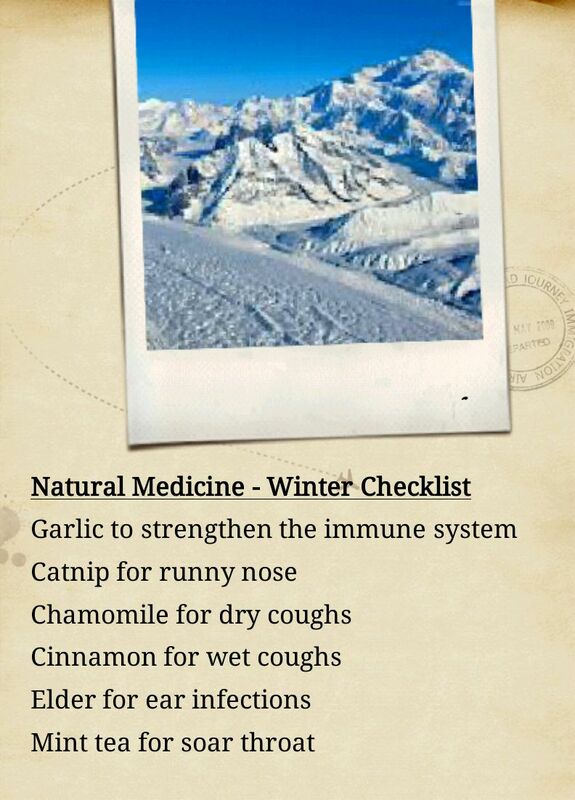 This is the number one, time tested herbal combination for parents who want to get their kids through the winter with out a runny nose. Read on and I will tell you everything you need to know to use this formula. I will tell you what the six herbs are and give you a eight step process on how to use them. Here are the six herbs that make up the magical formula. Buy equal amounts of all the herbs listed. I suggest buying 50 grams or about that amount in ounces. This is why its important to buy equal amounts of all the herbs. If you didn’t then you will need a scale for this step. Mix the herbs well so that there is equal distribution. Heat two cups of water until boiling, and then remove from the stove. Add four heaping table spoons of the herbal mixture to the water while still boiling hot. Let the herbs steep in the boiling hot water for fifteen to twenty minutes while covered. Strain out the herbs and save the liquid tea. For an adult you will need to drink one cup twice a day if you have a cold that you are trying to get rid of. For children two to nine years old reduce by half that amount. For children one to two years old one half a cup of tea a day should be given. For infants six to twelve months one hundred ml per day. These are the dosages for treatment. To use this formula for prevention just cut the dosage in half. This may be the most important step if you want to see results. The class of these supplements are called Nootropics. They help to improve the function of the brain both for the short term and the long term. 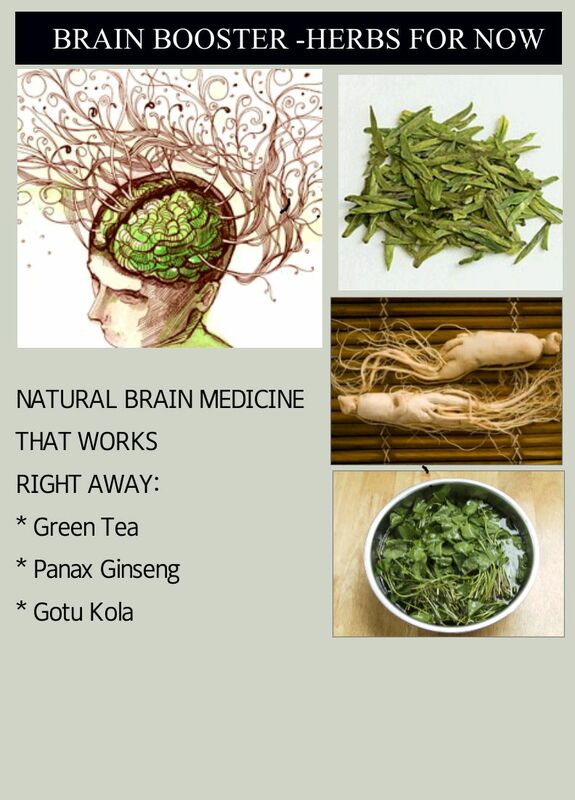 In order to really obtain healthy brain function we cant just take a pill or herb. We need to live a healthy life style and eat proper nutrition so that our mind will be working at its optimal potential. A healthy life style includes proper exercise for body, mind and emotions. This is the health and wellness triangle of mind body and emotions (I call them emotion but also mean this as soul). I will be touching on these in future posts. 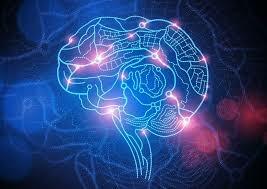 For now we are going to talk about the top ten supplements that help to strengthen chemically the functioning of the brain cells. These all together help to strengthen the brain cells. In the future as I do more research into how they work and clinical research on each I will link more information to this post. For now you can use this list while searching for a product to buy. When we speak about increasing our ability to focus and think clearly it is important to understand the way in which our brain works. 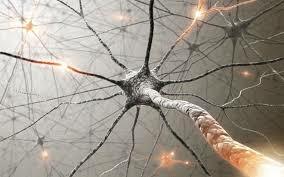 The most basic concepts which we need to understand is the workings of the brain cell which is called a neuron. For our discussion right now the only part of the neuron which is going to be focused on is the synaptic gap. 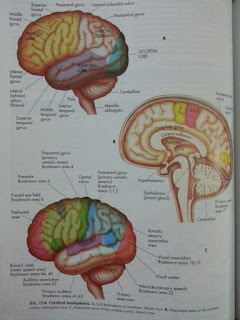 This is the bridge between one neuron and the next. What I am going to explain is the acute or short term increase in focus and concentration like that which is caused by pharmaceuticals such as Adderall and Ritalin. Long term brain health is a very different topic which I will talk about in a different post. But for right now our main focus (no pun intended) is going to be the synaptic gap and the neurotransmitter acetylcholine. 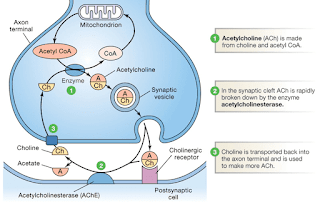 In the brain, acetylcholine functions as a neurotransmitter and as a neuromodulator. 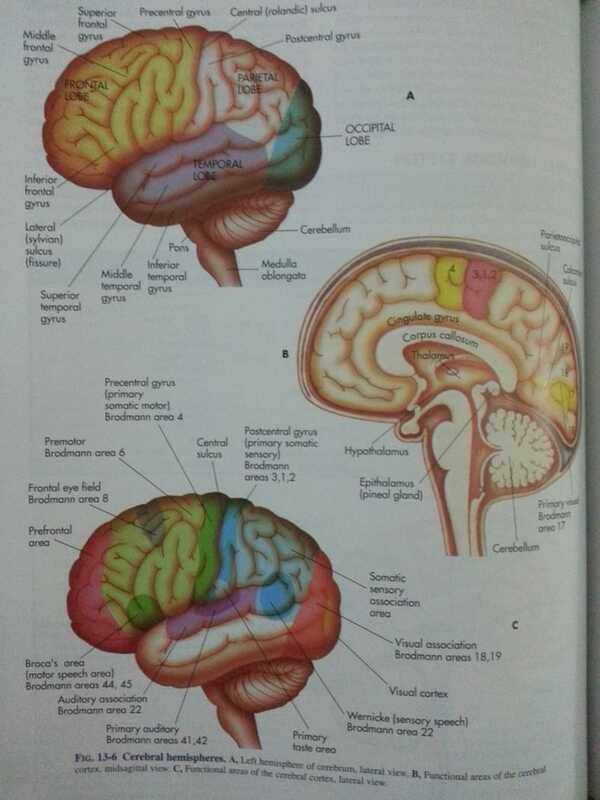 The brain contains a number of cholinergic areas, each with distinct functions. They play an important role in arousal, attention, memory and motivation. The way that these drugs work to improve our ability to concentrate is they do two things. 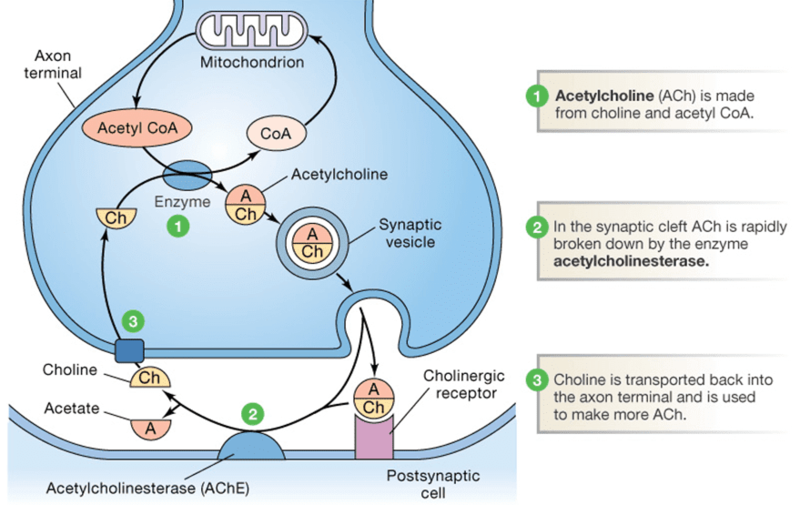 In this way the concentration and duration of acetylcholine in the synaptic gap is increased. This in term increases the ability to focus. •\tCiticoline – our body is able to transform citicoline into phosphatidylcholine which is a precursor of acetylcholine. •\tBacopa monnieri herb – inhibits acetylcholinestrase which is an enzyme that brakes down acetylcholine in the synaptic gap. I would suggest that any supplement that you are thinking about taking to improve mental focus should have these two in it. 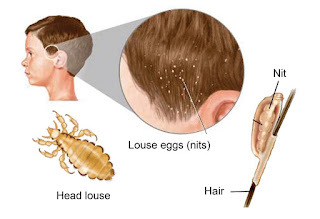 In the past I have come across that one bug, maybe a bacterial or viral infection, that I just thought there was no choice but to give anti-beotics. Just this past week I came in contact with one such bug. This is a true story that just happened this past week, and as a matter of fact is still going on. My youngest son is in a day care. If you are a parent and have already been through the day care system you will know exactly what I am talking about, and if you don’t know what I am talking about then now you will be prepared. Most of these kids walk around all winter long with a runny nose. I really don’t want to get to in detail but it could be kind of gross. To my great satisfaction I have been successful in treating the runny nose and it turns out that by treating runny nose I was able to successfully treat the big bug. So last week half of my youngest son’s day care was home sick. Now this wasn’t just the runny nose but bad cough and fever. My son was still fine but then he started to get this cough. Over the weekend he got the fever though and that’s when I said “oh s! @t”, it’s the big bug. 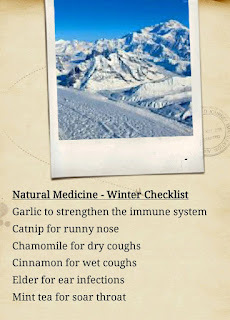 Now at this point I added garlic an essential oil rub to the regular herbal formula that I give my kids to treat the runny nose, and I also increased the dose of the herbal formula. The essential oil rub that I used was a very simple one. This I Rubbed on my three year olds back and chest about three times a day. In addition I would add the same oils to his bath with a spill of apple cider vinegar. After the weekend my kid was good to go but then my oldest who is eleven called home from school. In short my eleven year old is home sick but the thing is he never takes the runny nose herbs because he hates the taste. Now I am going to start to treat my oldest and I will let you all know how it goes. What needs to be taken from this story is what I have said time and time again, the most important part in treatment, is prevention. If my oldest would have been taking the runny nose herbs the whole time he probably would not have gotten sick, but hind sight is always 20/20 right? So I have written in the past about the importance of understanding the chemistry behind plant medicines. I really think that if we fully understand the workings of the body and how the phytochemicals in the plants effect them, plant medicine can be effective just as much as modern pharmaceuticals. I have been really trying to study the chemistry behind plant medicines and to tell you the truth really enjoying it. I have started to think I might go back to school to study biochemistry. But that will need to wait until I get this website up and running at 100%. Any how here is what I have t say about Alkaloids. 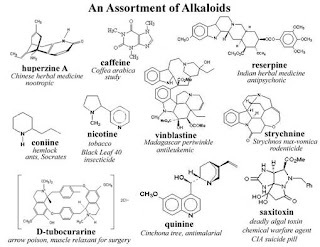 Alkaloids are the largest category of secondary metabolites. The reason for this is very simple, any nitrogen containing compound that does not fall into another category is currently classified as an alkaloid. Right along with this goes the fact that we can find alkaloids that effect all most every area of the body. Alkaloids can be used by plants to deter animals from eating them and to store carbon for later use when needed by the plant. Because of the size of the group there is no one best used solvent for alkaloids. Some are better dissolved in water some in alcohol and others oils. Many alkaloids have a stimulating effect on the nervous system. The best know and widely used alkaloid is caffeine. 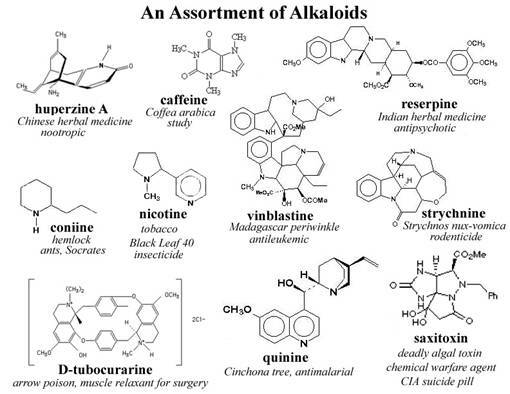 Many alkaloids have been researched in great depth and are now used in modern medicines but many we still know nothing about. Do you have a second cup in the afternoon? Well I sure do, and because I understand that my body gets used to the caffeine in the coffee I also use those other gifts of nature to try and get more done in the day. For most of us that are trying to do our best to get ahead in life, using one or more of natures boost plants is just part of the game. You cant make the day longer no matter how hard you try but you could sleep less and then have more time to get things done. That’s the way that I look at it and probably you do as well or you wouldn’t still be reading this. Yerba matte, tea in all of its wonderful colors, cola nut, and of course chocolate. All of these contain stimulating compounds which work like caffeine, but have a slightly different chemical make up. Which could be my first healthy tip for using stimulants. I just went with this one as my first tip because really its not a health tip but a get better results tip. What happens is we build up a tolerance to the coffee and then we try to just drink more of it. But how many cups of joe can you have in a day? So instead we need to alternate our uppers or stimulants if you like in order to continue to get the best results. It is important for me to mention that this sort of thing is very unhealthy if we don’t give our bod a time to recuperate. The way to live this kind of jacked lifestyle is to make sure to take a cleansing vacation at least a few times a year and lay off the caffeine for a bit. This can also go right along as a get better results tip but even more importantly for your health. Drinking lots of water is super important for over all health at all times but even more so when using stimulants such as caffeine. Because these substances also increase your kidney functions they cause an increased release of fluids from the body. If we are not carful to replenish our bodies water supply we run the risk of dehydration, and just think about how bad that could be for your productivity. Also when we are properly hydrated everything in our body flows better. Our blood flows better, our absorption of nutrients is better, and its easier for our bodies to eliminate waste. As I go through these it seems that they are all not just help tips, but also get better results tips. Now these stimulants also increase the acid levels in the stomach so if you don’t have something in the stomach for the acids to brake up they could start to damage the stomach lining. This could end up causing stomach ulcers. Once again not good for productivity. When I first started studying nutrition I would use carbohydrates to get even more of a boost out of caffeine, now I have learnt that using proteins gives me a longer lasting and more balanced energy. Eat healthy proteins such as nuts and seeds to protect your stomach and also provide even more energy for the body. Now this is the super boost to go along with your coffee. B-complex vitamins and vitamin C are what helps the cells to produce energy. By taking a solid B-complex plus C formula you can really boost your energy levels in a balanced and healthy way, together with some good old Joe. Now these are my top four tips for using stimulants. Please let me make it clear that using too much stimulants is not good for your over all health. To really have the most energy in your life you need to be healthy in all ways both mind and body. And to be most productive you need to make sure to just get things done. In 1991 the well preserved remains of a man were found in the melting ice of an alpine glacier. This discovery was of great importance for archeologists because he is the oldest human mummy found in the area. There are a lot of interesting things about the remains of Otzi. There was a legal dispute over who actually was going to claim ownership of his remains, which interested me a bit. Then there was talk about a curse related to his remains, this interested me a lot more. There have been seven people who were involved with the discovery of Otzi that have died some what untimely deaths. Some believe that he was killed in a ritual sacrifice and there for his remains are cursed to this day. But what really interested me was the fungus that was found with his remains that he was using to treat a case of intestinal parasites that he was suffering from. Found with Otzi’s remains was two pieces of organic material, that was something between cork and leather in its consistency. At first this was believed to be tinder for starting fires (not the tinder for starting fires that single people use today), but was later found to be the fungus piptoporus betulinus, which can be found on the birch tree in cold climates. The fungus contains chemicals that are toxic to certain parasites and when taken by humans can cause diarrhea. 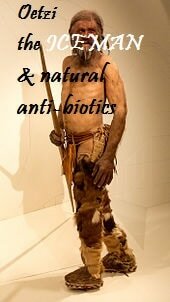 An autopsie of Otzi’s intestines found eggs of the parasite trichuris trichiura, and it is believed that he was trying to treat the condition using the fungus. Today there is research into new antibiotics that have been found in the piptoporus fungus. Also very interesting is that Otzi had tattoos in the areas of his body where he was found to be suffering from arthritis. This may have been a form of pain relief similar to that of acupuncture. Otzi is estimated to have lived about five thousand years ago. I thinks its amazing to see that people had the ability to diagnose and treat disease with out the use of any of the modern sciences. But if you are thinking to your self “where can I get some Birch fungus extract”, you are out of luck. It has not made it to the health food stores yet. 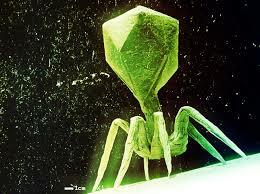 It seems that it will be turned into a new anti biotic or even a cancer fighting medicine first. But if you are looking for a strong natural anti biotic, you can try oregano oil. There are a good number of studies showing it to be use full at killing viruses, parasites, and bacteria. The main category for flaxseed in plant medicine is as a bulk laxative. The truth is that flaxseed works in two ways as a laxative. The oils from flaxseed also contain a high concentration of omega 3 oils. The fatty coting that covers the dentraite part of neurons is made up of omega 3 fatty acids. This fatty layer help the nerve signals to move faster. This is one of the reasons that omega 3 is known to improve memory and brain function. Omega 3 is essential fatty acid, which means we cannot produce it in our bodies and must obtain it from our nutrition. Omega 3 has also been found to have anti-inflammatory activities. But keep in mind that most of the research done on omega 3 has been done on fish oils which contain EPA and DHA form of omega 3. ALA is the form of omega 3 found id flaxseeds and can be turned into the EPA and DHA forms. Fax seed has also been used for making linen even by Neanderthal man. But omega 3 from fish oils is still more effective for increasing brain functions. ​As I have mentioned many times, I am a very strong believer in the importance of taking a good multivitamin. Once again I find that just the first thing I write needs its own blog post or webpage as in “Why should you take a multivitamin”. Now I have been taking GNC MEGA MEN multivitamin for a very long time now, about nine years, and I am very happy with it. My wife has been taking GNC WOMEN’S ULTRA MEGA also for about nine years. She is very happy with the GNC multivitamin, but I recently switched her to Pure Synergy Multi for women, and I will tell you why. There are two very important things that I take into consideration when I am buying a multivitamin. Now this is for me and my wife who lives the same life style and has the same budget. If I was recommending a multi to a client or a friend then I would change my approach according to their needs. What did you say? You don’t know what B-complex vitamins are good for. No problem, I will explain it to you real simple and fast. B-complex vitamins are essential for our body to be able to produce energy on the cellular level. In my opinion and from my experience, the recommended daily amounts for all B-complex vitamins is very low and should be changed, but I am not there yet to change them. But really the recommended daily amounts of B-complex vitamins may be enough to survive, but not enough to be totally pumped. So I am looking for something that has at least 200% of the recommended daily value of B-complex vitamins. Now the GNC vitamins have a much higher level of B-complex Vitamins then the pure synergy ones, but the pure synergy vitamins have a much better herbal formula. This brings me to my second decision making aspect of a multivitamin, the herbal formula. All good quality multivitamins today have an herbal formula packed with a bunch of those super herbs that everyone should just be taking. The GNC multivitamins have a very nice herbal formula but in my opinion the pure synergy multivitamins have a better one. Also the pure synergy vitamins are much more natural; this means that the vitamins and minerals they contain are taken from all natural sources. 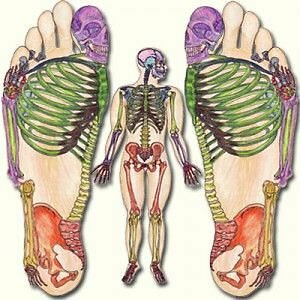 Making them more fit for absorption by the human body. Probably the next time I purchase a multivitamin I am going to try the pure synergy multi for men. In the end they are both good quality multi vitamin that have noticeable effects on overall health. Here is just a quick picture that I got this past Friday while getting some of the things that my wife needed for our Friday night dinner. The real beauty in this garden of ours is in the fact that it doesn’t need any up keep. The sad part is that I don’t take care of it. What a double edged sword right? But the real truth is that if I just put a little bit of TLC into this garden it could really be a breathtaking place. When I do I am going to take some good pictures and share them with you. But what you can learn from my neglected garden is what useful herbs can grow well with minimal care. The plants that I have in this garden are rosemary, sage, aloe, and after the winter fresh onions. All of these just need a good soil and a bit of water and sunshine and they will grow just great. I hope that the next time I write about this garden it will be a natural medicine garden. So this is just a bit about what I like to eat. 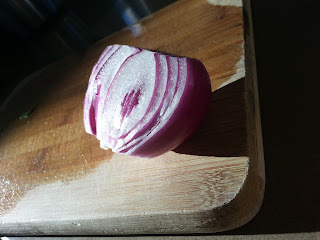 Really I was just putting a salad together and there was just something about the way the sunlight was shining down on the red onion that I thought it would make a great picture. And hey what is some good pictures without at least a bit of words explaining them. So yes red onions and hot peppers. When I was studying nutrition I remember one of my teachers saying that perhaps one of the reasons that some of the third world countries, such as India and Mexico, eat so much spicy foods is because of the anti bacterial aspects of these strong spices. I think that this is one of the reasons that I don’t get sick very often, because I eat such spicy foods all the time. I have been taking B-complex vitamins to help boost my energy ever since I first learned about them while studying nutrition ten years ago. I remember I would eat a whole carbohydrate food. Take a B-complex and wait twenty minutes. Then I would have a good strong cup of coffee. The reason for all of this process goes as follows. B-complex vitamins don’t give you energy but they are needed for your body to make energy from carbohydrates. So think about the whole carb that I would eat first as the raw materials for creating energy. Then I would take the B-complex so that my cells would have everything they need to break down those carbs to make the energy. Now caffeine and B vitamins don’t go so good together. The caffeine can prevent proper absorption of the B vitamins into the body. This is why it is useless to pack energy drinks with B-complex; also I bet that these synthetic B vitamins don’t have the best absorption anyway. But back to the way I first started using B-complex to get an energy boost. So once I had my good carbs and my B vitamins all good and absorbed, then I would give my body the caffeine burst. Now if you want to give your self a longer lasting energy boost you could have a protein shake with free amino acids instead of the whole carb. But I guess I am going to write another post on protein shakes for that one. The first thing one really needs to know about chamomile is that there are two kinds. The most common is German chamomile and the second kind is roman chamomile. I am not going to talk about roman chamomile here simply because it is much less used. Chamomile is the most common of the six herbs in my magic winter formula. A lot of people really like the tea made from the flowers, I am not one of them. If it wasn’t for its therapeutic wonders I would never touch the stuff. But that is just a matter of taste. Therapeutic category – anti-inflammatory, antispasmodic, carminative, antiseptic. In addition chamomile is calming, helps to heal wounds, reduce pain and fever, and balance respiratory mucus. Dosage – 1 or two teaspoons made into a tea or 1-4 ml of a 1:1 tincture, three times a day. Active ingredients – essential oils, flavonoids and coumarins. Buy chamomile oils and herbal extracts of the best quality.